The October 2008 sale of part of the Graham Geddes collection was disrupted when the Italian Government requested that some of the lots be withdrawn on the eve of the auction in London. 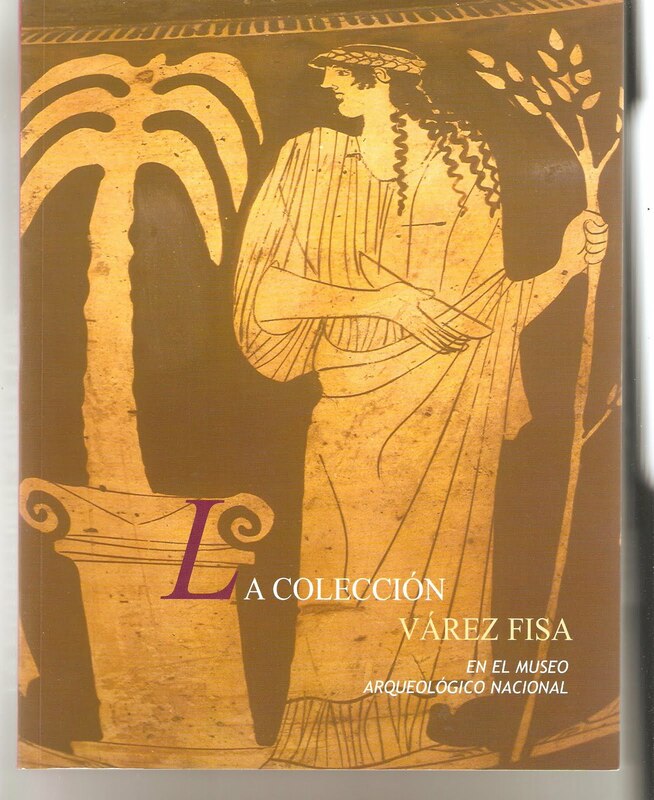 I note that (at least) three ex-Geddes pieces appear in the Várez Fisa collection now on display in the National Museum of Archaeology in Madrid. no. 53: Athenian black-figured amphora showing departing chariot, attributed to the painter of Vatican 365 (inv. 1999/99/61). Although the collecting history is not mentioned in the catalogue, the Beazley Archive [no. 7462] lists the amphora noting that it passed through Sotheby's London 13-14 December 1982, lot 255 and subsequently 8 December 1986, lot 327.
no. 137: Apulian pelike showing Eros in a garden, attributed to the Siren Citharist painter (inv. 19999/99/142). The catalogue notes that the piece had been sold at Christie's New York on 4 June 1998, lot 233 [entry], where it fetched $16,100. The Madrid catalogue does not note that the pelike had passed through Sotheby's in London: 9 December 1988, lot 171; 8 December 1994, lot 328.
no. 147: Paestan lebes gamikos showing two women either side of a basin, attributed to Asteas (inv. 1999/99/146). A Paestan lebes gamikos attributed to the Asteas / Python workshop had resided in the Geddes collection. This surfaced at Sotheby's London, 21 May 1984, lot 372. It was subsequently sold at Christie's New York on 18 December 1997, lot 149 [entry], for $10,925. The December 1982 Sotheby's sale is significant. Two pieces that surfaced through it have now been returned to Italy: a Lucanian nestoris from Boston (and once loaned by Geddes) (lot 298) and an amphora attributed to the Berlin painter returned from New York (lot 220). Bonhams had to withdraw an Apulian hydria from auction in October 2008; it had originally surfaced at the May 1984 sale at Sotheby's. See my list of items linked to Graham Geddes at auction where two of these pieces appear to be listed. Who consigned these three pieces to Sotheby's in 1982, 1984 and 1988? Why is the Madrid catalogue incomplete?